The pumpkin decorating contest is a central feature of the Great Cortland Pumpkinfest. Talented pumpkin artists bring their best creations to Courthouse Park, each representing a moment in pop culture history. 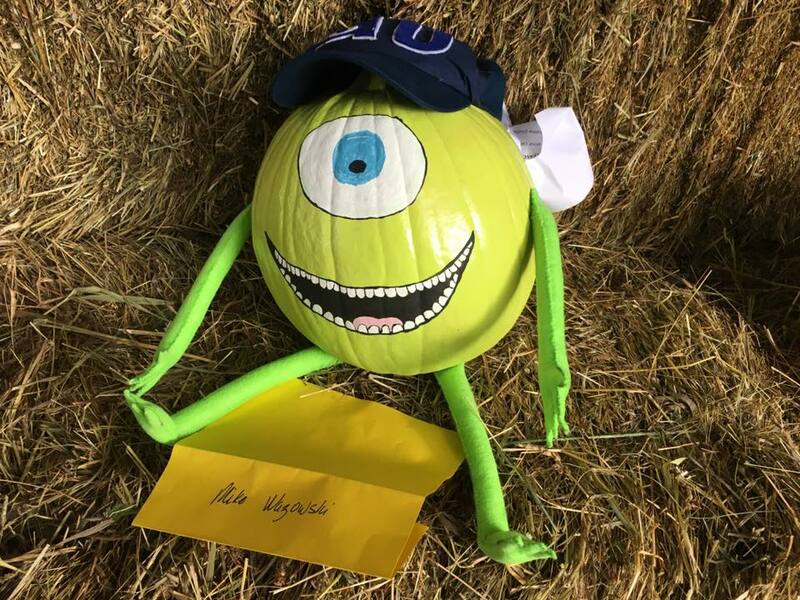 Learn more about the pumpkin decorating contest below. Photo courtesy of the Cortland County Convention and Visitors Bureau and Kris Reynolds. Pumpkins can be decorated with a group, with a friend, or on your own. Judges will be looking for use of theme, eye-catching color, imagination, originality, and age appropriateness. Bring your decorated pumpkin to the middle of Courthouse Park between 10AM and 11:30AM on Saturday, October 6. Judging takes place at 12 noon. Winners will be announced at 12:45PM at the main stage at the east end of the park. Pick up your pumpkin and poster by 4PM on Sunday, October 7.